You will love this. Seriously, you will just keep eating more, and more, and more. But don’t let that detour you from making this. 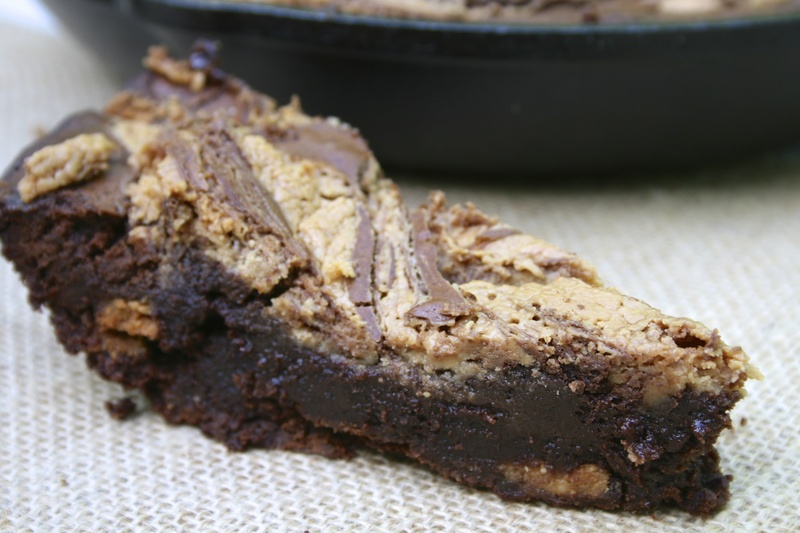 The thickest, fudgiest brownie, baked in a cast iron skillet, and stuffed with mini peanut butter cups. To top it all of, it has a thick peanut butter swirl. Just writing about it is making my mouth water! Serve it warm or cold, it’ll be delicious! 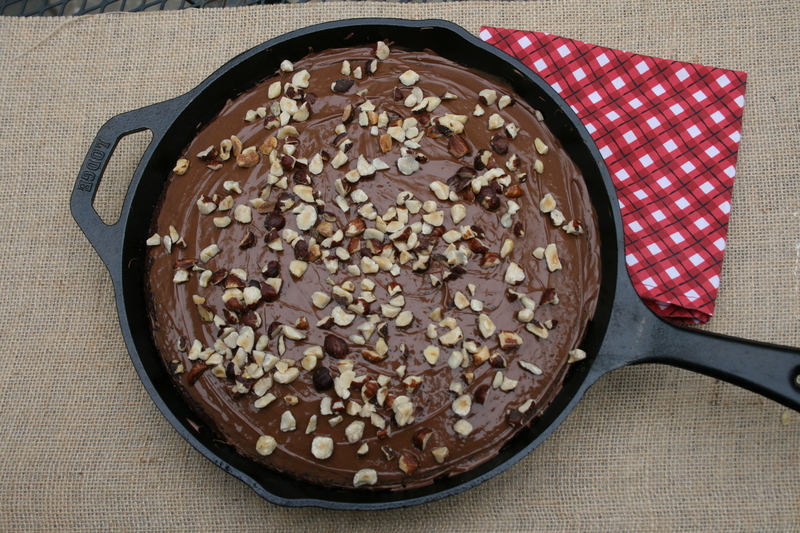 Preheat the oven to 350°F and grease a 10″ cast iron skillet. In a large bowl, beat the eggs and sugar on medium-high speed until lightened in color and thick, about 3 minutes. 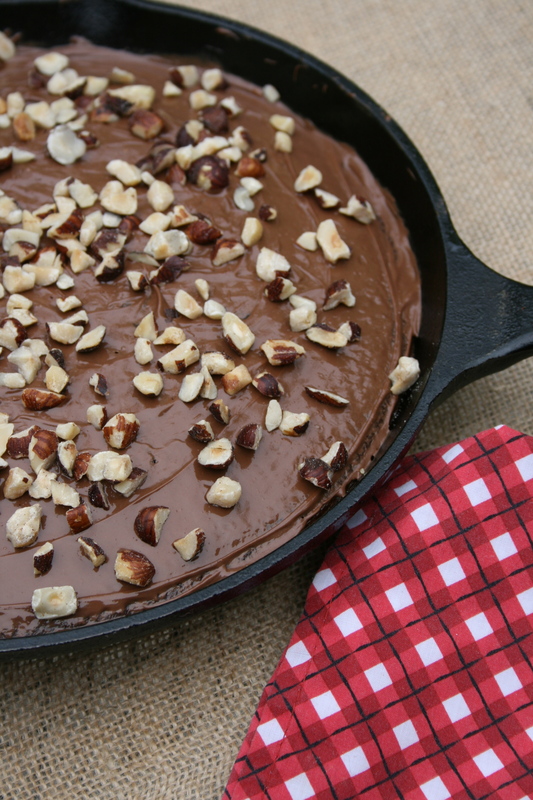 Stir in the cooled chocolate mixture with a rubber spatula. Add the flour and salt, folding gently until combined. Fold in the peanut butter cups. Mix peanut butter and melted butter together. Mix in, confectioners sugar and salt. 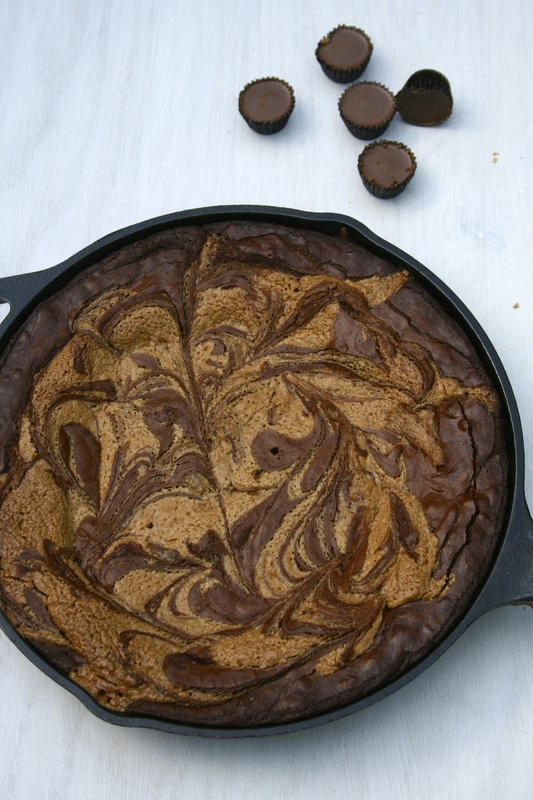 Drop about 5 dollops onto the brownie batter and swirl in with a knife. Bake until a tester comes out with moist crumbs still attached, 35 to 45 minutes. Do not overbake. Let cool to room temperature. Serve at room temperature or chilled. Do you remember Ho Ho’s? The small chocolate creme filled cakes? Well, I loved those and decided to recreate it in snack cake form. 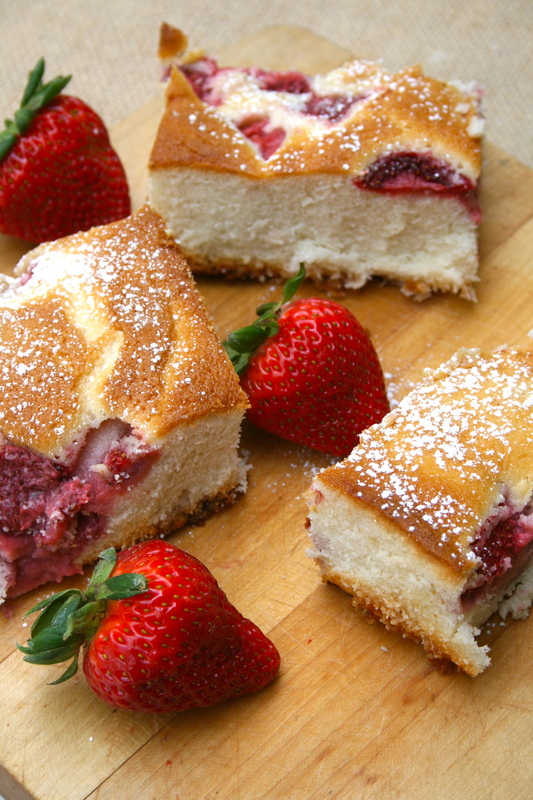 I define snack cake as any cake which either doesn’t have frosting or looks like this cake. 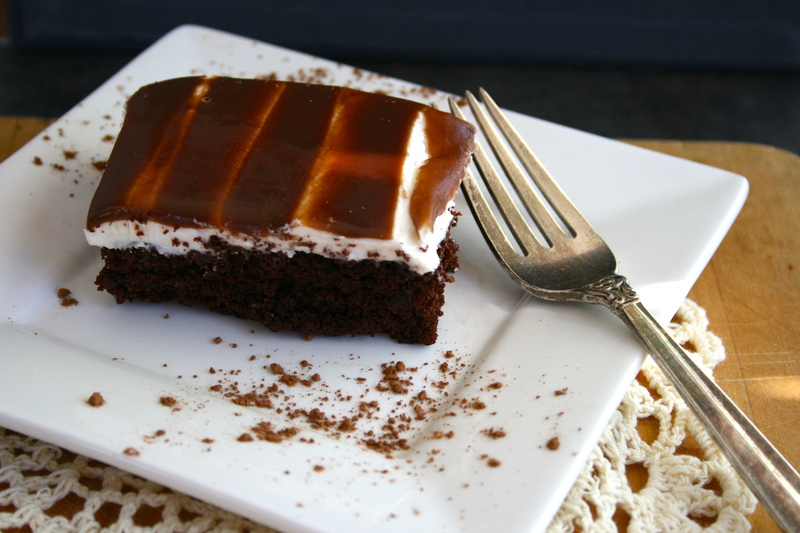 A moist and fluffy chocolate cake, topped with a copy-cat Ho Ho creme filling, and covered with chocolate ganache. This cake is delicious. You will not be able to stop eating it, I can promise you that. Preheat oven to 350F and grease a 9×13 pan. Stir together sugar, flour, cocoa powder, baking soda, and salt in a bowl. Add the egg, vanilla, buttermilk, and butter. Beat on medium-high speed until combined well, about three minutes. Stir in boiling water, the batter will be pretty thin- don’t worry about it. Pour batter into prepared pan and bake for 18-20 minutes until a toothpick comes out clean. Cool on a wire rack. Beat sugar, shortening, vanilla, milk, salt and water for about 7 minutes. It should be white and smooth. Add powdered sugar and beat for 5 more minutes until creamy and smooth. Heat the heavy cream in a quart-sized, microwavable container and microwave for 3 to 4 minutes on high, or until it just begins to simmer; be careful not to allow cream to boil over. Pour the cream over the chocolate and let stand for 2 minutes. Process by pulsing several times until chocolate mixture is smooth. Pour over cake and refrigerate until set or overnight. 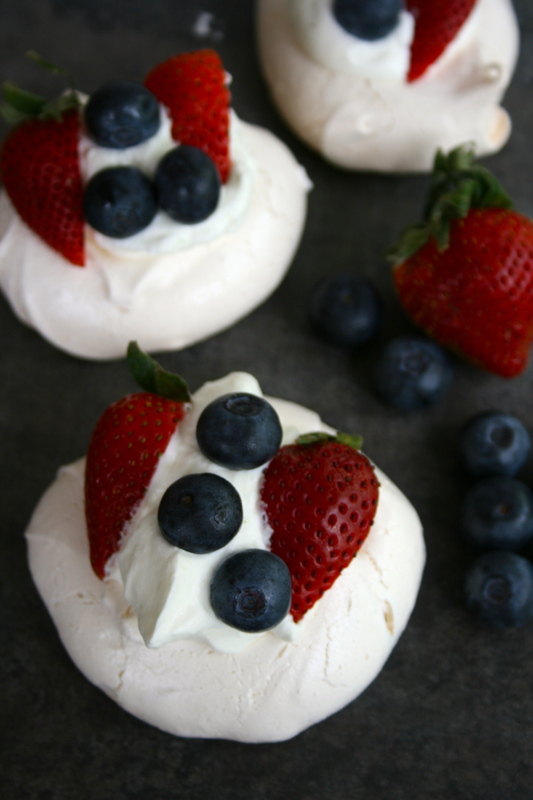 These miniature pavlova’s are amazing. Crunchy outsides, with a chewy marshmallowy meringue inside, and topped with lime whipped cream and sliced fruit. They’re perfect for when you don’t want a heavy dessert and it’s hot outside. Place rack in the middle of the oven and preheat the oven to 275°. Line two large baking sheets with parchment paper. Mix the cornstarch and the sugar in a small bowl. In a large bowl , fitted with whisk attachment, whip egg whites, cream of tartar. and salt, starting on low and increasing incrementally to medium speed until soft peaks/trails start to become visible and the egg white bubbles are very small and uniform, approximately 2 to 3 minutes. Increase speed to medium-high and gradually sprinkle in the sugar-cornstarch mixture. About 2 minutes after these dry ingredients are added, slowly pour in the vanilla. Increase to high speed and whip until meringue is glossy, and stiff peaks form when the whisk is lifted, 4 to 5 minutes. Pipe or spoon 8 meringues onto each baking sheet. With the back of a spoon, create an indentation in the middle of the mound for holding the filling once the meringue is baked. Place baking sheet in the oven. Reduce oven temperature to 250°F. Bake for 50-60 minutes, or until the meringues are crisp, dry to the touch on the outside, and white — not tan-colored or cracked. Check on meringues at least once during the baking time. If they appear to be taking on color or cracking, reduce temperature 25 degrees, and turn pan around. Lift from the baking sheet and cool on a wire rack. 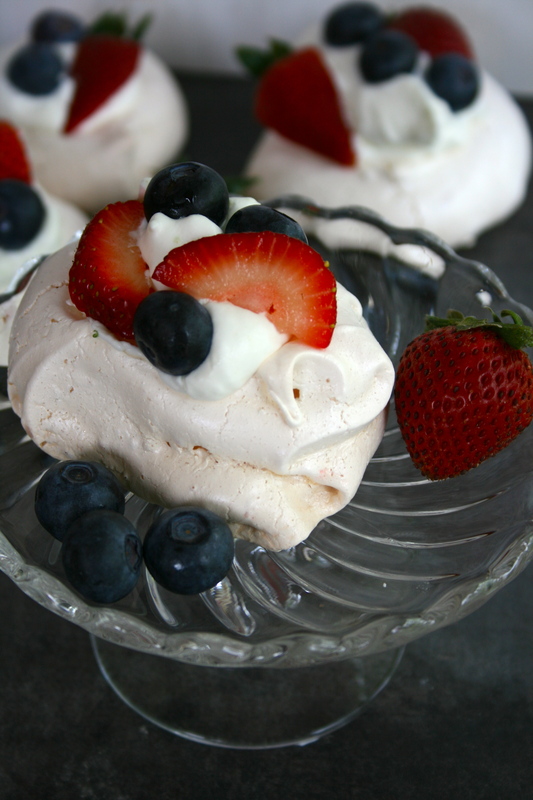 The meringues will keep in a tightly sealed container at room temperature for up to a week if your house is not humid. Chill a medium mixing bowl and whisks in the freezer for 5-10 minutes, then remove and pour all the lime whipped cream ingredients into the bowl. Beat until soft peaks form. On a baking sheet, toast pecans at 350F until they begin to brown and smell nutty. Let cool, then chop. Mix the rest of the ingredients in a small bowl, then add the cooled chopped pecans. Preheat oven to 350F and grease three cookie sheets. Cream butter, vanilla, and both sugars in a medium bowl. Beat in yogurt and both eggs until smooth. In a separate bowl, combine all dry ingredients. Slowly mix the dry batter into the wet batter until smooth. 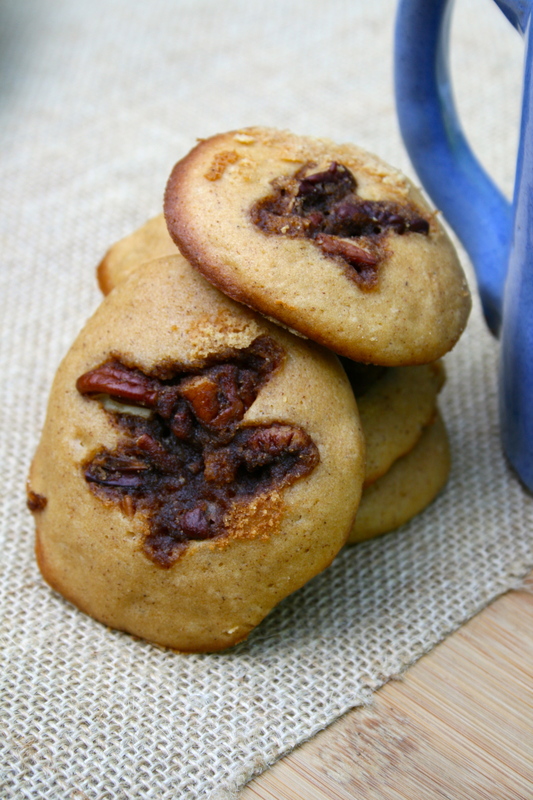 Drop about two tablespoons of dough for each cookie onto the cookie sheet, and then lightly press a bit of the pecan mixture on top of each cookie. Bake for 8-11 minutes, or until the bottoms are slightly golden. 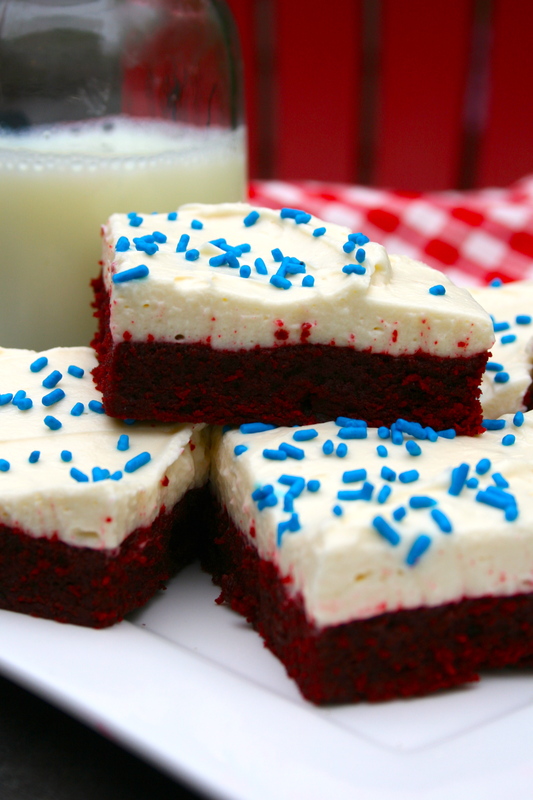 These red velvet brownies are so good. They’re very soft and have the hint of cocoa that makes red velvet so delicious. 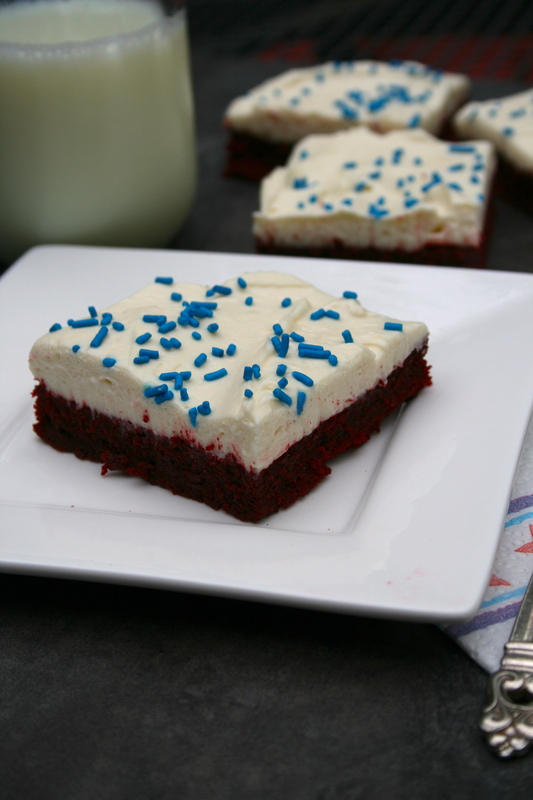 And of course, I had to pair red velvet with a cream cheese frosting. 🙂 The whipped cream cheese frosting is seriously amazing. It’s very much like a thick whipped cream, except with that tangy cream cheese flavor we all love. 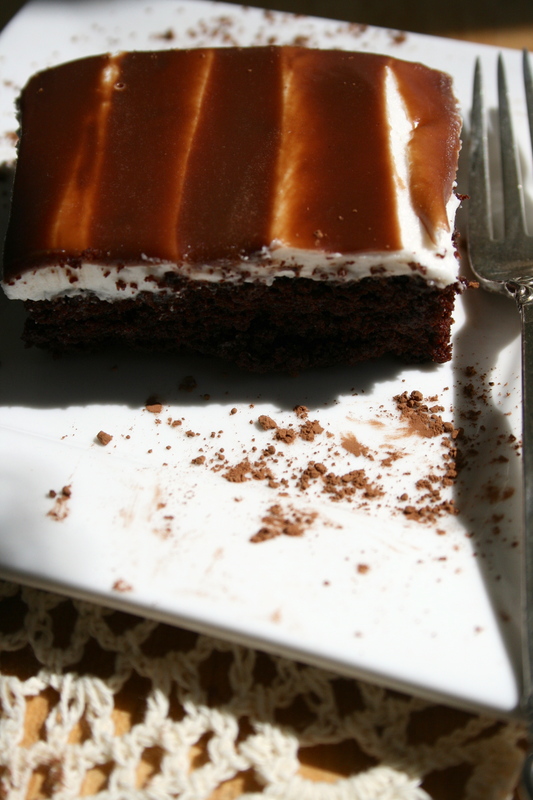 You won’t be able to stop eating these brownies, or the frosting! Preheat oven to 350F and grease and line with parchment paper a 8×8 square pan. Combine hot melted butter, sugar, and food coloring until creamy. Mix in the cocoa powder and salt. Beat in eggs, vanilla, and vinegar at a time. Mix in flour until smooth. Bake for 15-20 minutes or a toothpick comes out clean. Whip the cream cheese until smooth, and then add in the powdered sugar. While on medium-high speed, slowly pour in the heavy whipping cream until the frosting thickens. The consistency will be like a very thick whipped cream. Enjoy and remember to take a moment and remember all of our fallen soldiers. 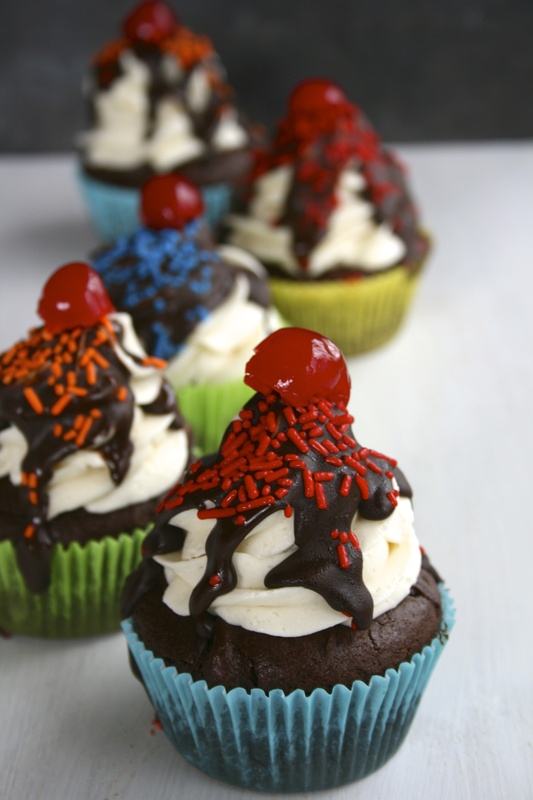 These cupcakes are perfect and exactly like a brownie sundae. 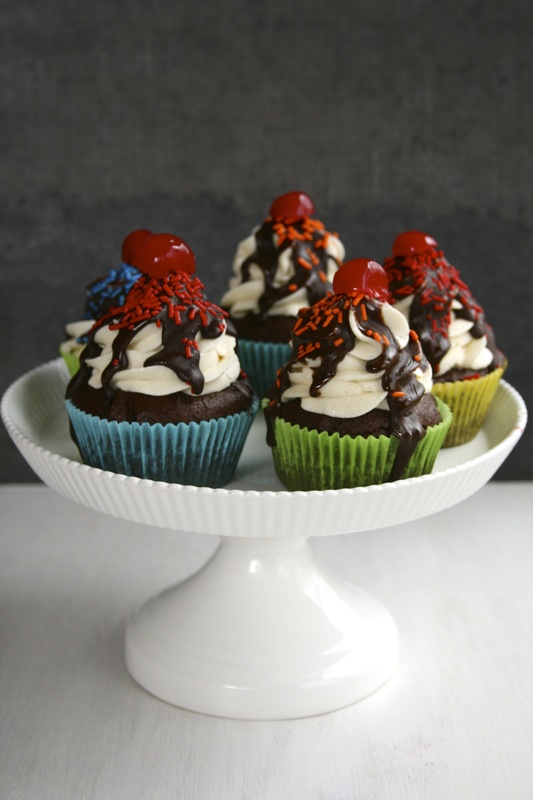 A brownie is baked in a cupcake tin, topped with super creamy vanilla buttercream, and drizzled with magic shell-like ganache. These cupcakes are perfect for any fun events or parties in the summer, or perfect for lying down and watching TV in your pajamas 🙂 Seriously, though, about the buttercream? Creamiest frosting ever! Preheat oven to 375F. Line one cupcake tin. Remove bowl from heat and let cool for 5 minutes until the batter is no longer hot. Beat in vanilla and eggs, with a hand mixer. When the batter is shiny and well blended, add the flour and baking powder. The batter will be very thick. Spoon into cupcake liners. Bake for 15-25 minutes or until a toothpick comes out clean. Beat the butter until it’s very pale in color, slowly add in powdered sugar. Beat in vanilla and heavy cream until smooth. Melt ingredients over a pot of simmering water, stirring until smooth. Remove from heat and let cool for about 15 minutes. Preheat oven to 350F and grease a 8×8 square pan. 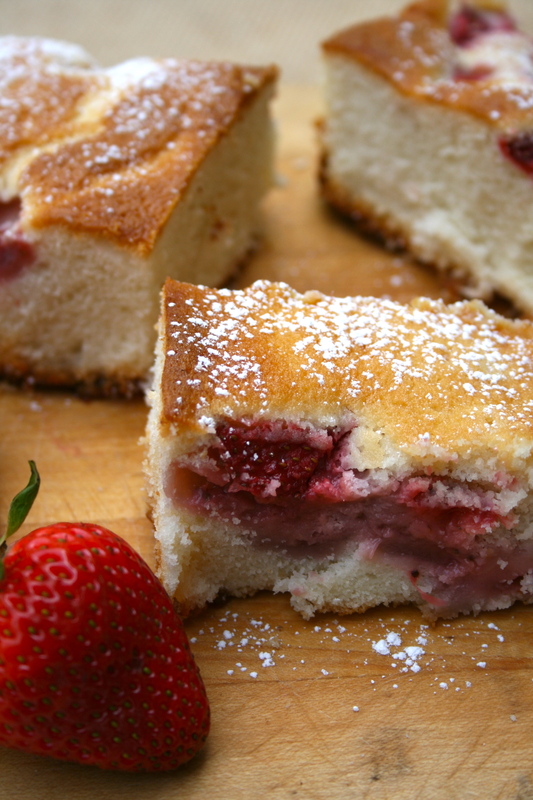 In a small bowl, mix together the strawberries, sugar, and lemon juice and let sit until you are done with the cake batter. In another small bowl, whisk together the milk, egg whites, whole egg, and vanilla. Set aside. In a medium bowl, combine on low speed the flour, sugar, baking powder, and salt for 30 seconds. Add the butter, one piece at a time, until a moist crumb forms. Add the milk/egg mixture on medium speed for 90 seconds. Mix in the sour cream for about 50 seconds. Pour batter into greased pan. Strain the strawberries and pour over the top of the batter. Bake for about 50-60 minutes and let cool on a wire rack. Preheat oven to 350F and grease a 9 inch cast iron skillet. Pour batter into prepared pan and bake for 18-20 minutes until a toothpick comes out clean. 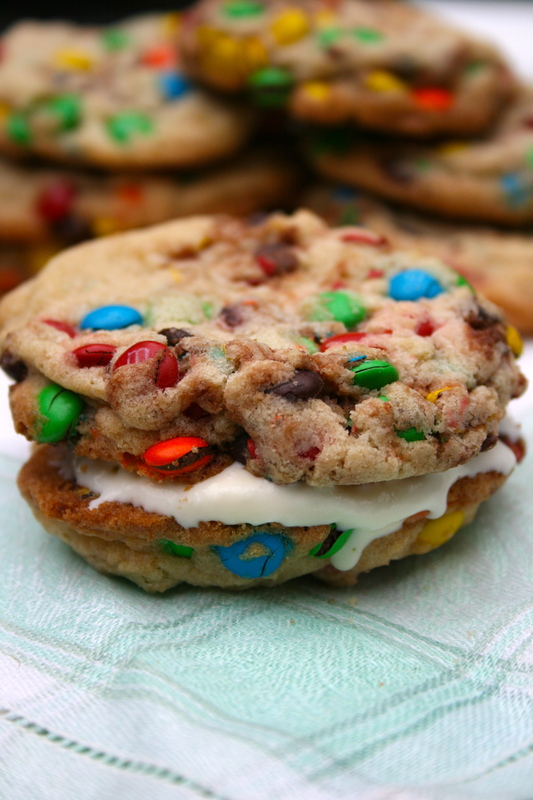 I had set out to replicate (or almost replicate) an M&M ice cream sandwich which I remember them selling in stores. I loved them, so I wanted to remake them from home, at least the cookie part. 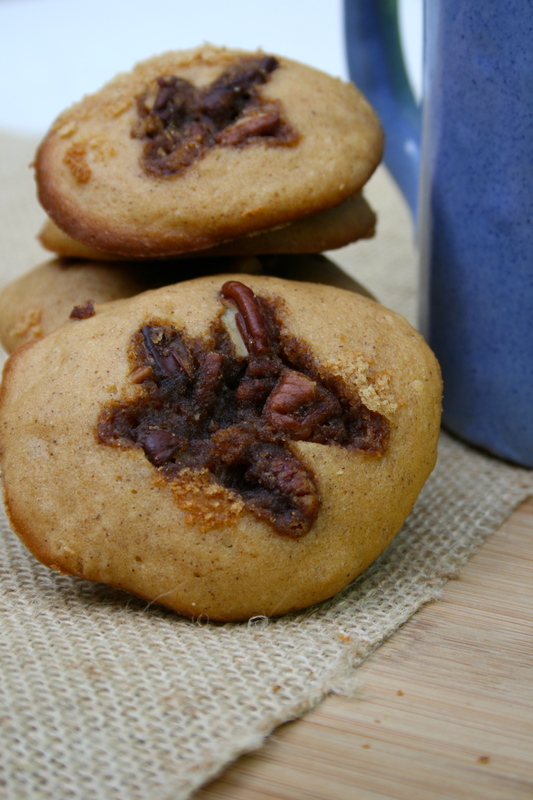 I messed around with my chocolate chip cookie recipe a little and voila, these were born! It’s important to use mini M&Ms for these, they give you way more M&Ms and look more like the original ice cream sandwich. 🙂 The cookie is super chewy but still soft. Perfect. Preheat oven to 350F and grease two cookie pans. Cream the melted butter and both sugars until the mixture is well combined and smooth. Add the egg and egg yolk, beating well after each addition. Beat in vanilla. In separate bowl combine flour, salt, baking powder, and cornstarch. Add half of the flour mixture to the wet mix. Mix well, then add the rest of the flour mix. 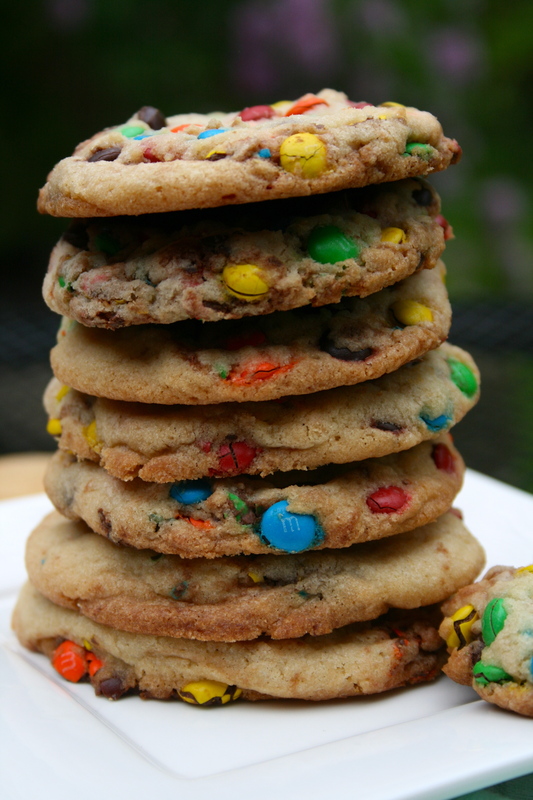 Pour in the mini M&Ms and mix until combined. Bake for 11-13 minutes or until edges are slightly brown. Cool for 5 minutes on the tray then move to a wire rack. Can you tell it was hot when that picture was taken? See these cupcakes? They taste like a root beer float. 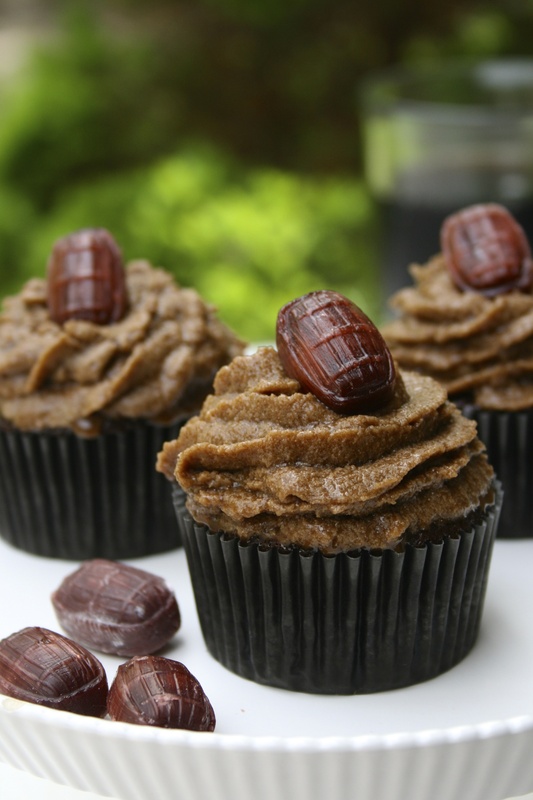 A moist and fluffy chocolate root beer cupcake base and super yummy root beer frosting, and you can put vanilla ice cream in the cupcakes. Perfect for summer. Also, the root beer concentrate is mandatory for getting the best root beer flavor- root beer alone just won’t do it. 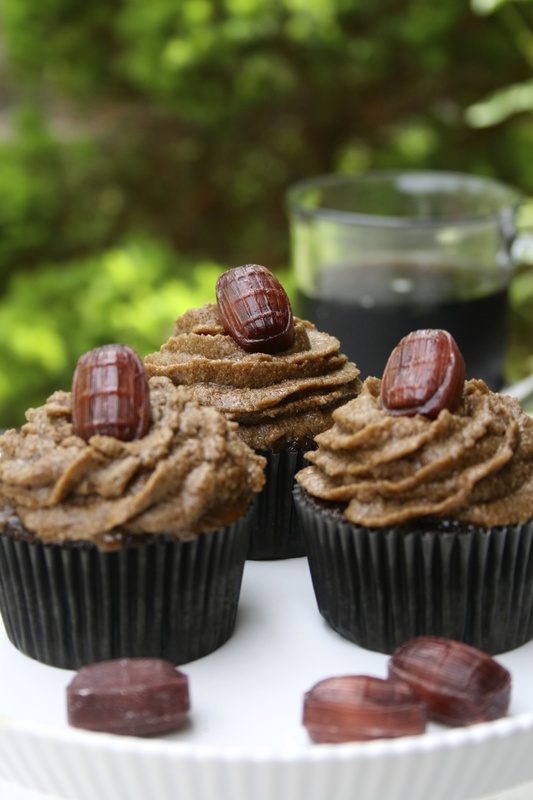 But bake these cupcakes today!! Heat oven to 375F. Line cupcake tin with liners. Add the egg, vanilla, root beer concentrate, and buttermilk on medium-high speed for 2 minutes or until smooth. Fill cupcake liners 2/3 of the way. Bake for 15-20 minutes or until a toothpick comes out clean. Let cool for ten minutes on a wire rack, then take cupcakes out of tray and let finish cooling. Store covered in fridge. Scoop out 2 teaspoons in the middle of the cupcake and fill with two teaspoons of vanilla ice cream. After this step, store the cupcakes in the freezer! Beat butter until very pale in color, about 3-5 minutes. Slowly add the powdered sugar while mixing on low speed. The frosting is not very stable so pipe quickly!